This 2019 Honda HR-V Sport is offered to you for sale by Kendall Toyota Alaska. Want more room? Want more style? This Honda HR-V is the vehicle for you. Save money at the pump with this fuel-sipping Honda HR-V. When driving an all wheel drive vehicle, such as this Honda HR-V Sport, superior acceleration, traction, and control come standard. The look is unmistakably Honda, the smooth contours and cutting-edge technology of this Honda HR-V Sport will definitely turn heads. Are you in the market for a new Honda car, truck, or SUV? 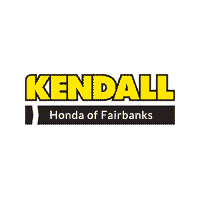 With the help of the staff here at Kendall Honda of Fairbanks, we can work with you to help you find a Honda that suits all your needs and desires in a new car, truck, or SUV. We have an expansive selection of new Honda cars available to our customers. Check out popular vehicles, including the new Honda Accord, Honda Civic, and many others. Learn more about these Honda cars and all other Honda services we offer at Kendall Honda of Fairbanks by getting in touch with our sales team! Contact us online to see how we can help you get behind the wheel of the perfect Honda for you. We look forward to hearing from you and helping you during your next visit to our Fairbanks Honda dealership, also serving the areas of North Pole, Fort Wainwright, and Delta Junction! Find the new Honda car, truck, or SUV of your dreams when you shop our new inventory of Honda cars in Fairbanks, Alaska. While you’re here, take the time to explore our like-new Certified Pre-Owned Honda cars. We also carry a wide variety of used cars in Fairbanks, Alaska. With a variety of customization options for your new Honda, the staff at Kendall Honda of Fairbanks is convinced that we can find a new car that suits all your needs in the Fairbanks area. You can browse our current in-stock inventory of new Honda cars then contact us online or by phone to schedule a test drive of your favorite Honda model. With a variety of options, we’re sure you’ll find the new Honda SUV to fit your budget and lifestyle. Shop our selection of new Honda SUVs for sale in Fairbanks to find what best fits you. The Honda Pilot has the power and cargo space to go with dynamic styling to make your next weekend getaway one for the ages. Looking for something a little smaller? 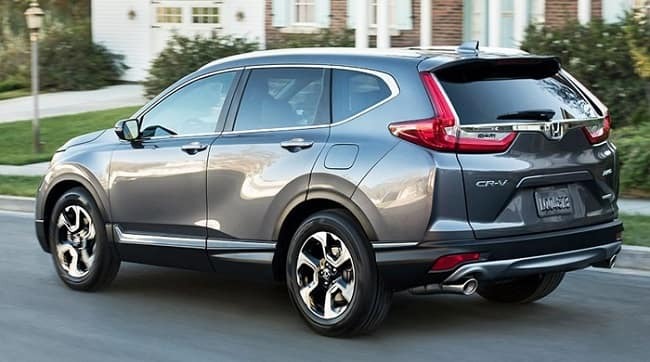 You’ll love the look and feel of the sleek and sporty Honda CR-V. Honda SUVs have the power and performance to power you through the week into every weekend. Come by our Honda dealership today at 1000 Cadillac Ct. Fairbanks, Alaska 99701 and we’ll help you find the new Honda SUV to fit your daily drive.